The main producers of copper ores in Bulgaria are “Assarel-” and “Elatsite honey” and copper-gold ores are mined by “Dundee Precious Metals Chelopech”. Production of lead-zinc ore is concentrated in enterprises’ Minstroy holding “Nikolay Valkanov and KCM. The companies did not comment on individual results. Information is only for “Dundee Precious Metals”, which is owned by a Canadian public company Dundee Precious Metals. Data for the first nine months of 2015 show maintain of same level of production at Chelopech, but the decline in revenue for about a quarter because of cheaper metals. Difficult 2015 and pessimistic expectations for 2016 comment the mining companies representatives from Bulgaria. This account for all the mining and metallurgical industry in the country. Depreciation of metals on world commodity exchanges, which began in 2012, continued last year. The downward trend was prompted mainly by the slowing down economy of China. Only last year the prices of basic metals decreased by about 30%, while those of copper for example are already below critical levels. This requires the implementation of emergency measures aimed at maximum cost optimization in order to maintain competitiveness and in some cases the survival of businesses, commented from Bulgarian Mining Chamber (BCMG), which brings together 118 companies in the sector. Shrinking investment and possibly reducing production costs and warn for metallurgical industry. According to national statistics for the first ten months of 2015 metal ore mining in the country has declined by more than 6% annually. Production in the industry as a whole remained almost unchanged. Coal production as recorded record growth of nearly 12% and an increase of just under 4% is observed in non-metallic minerals. It should be noted, however, that companies from these sub-sectors mainly sold on the local market. At the same time in terms of ores Bulgarian companies are not isolated from global trends, as the cost of production is determined on the world market. Little advantage for Bulgarian mining companies is that unlike global companies their costs are denominated in, which partially alleviates the situation to them. Actions taken by Bulgarian mining companies follow these global giants, although currently they not talk about cuts and stopping power. Companies’ efforts are now focused on keeping production and market share, as well as strategic relationships with customers and suppliers, said of the chamber. The natural first step in the bearish market trend is a decrease in investments. Following the cycle of world market prices, companies invest very heavily in periods of good prices, reinvest most of their profits for replacement, modernization and improvements to machinery and equipment and optimization of technological processes in mining technical and mining technological condition mines themselves and in implementation of scientific research and innovation. The results are lowering the cost of production on the one hand and on the other – ensuring the sustainability of companies in different types of crises, said of BCMG. In periods of adverse market prices, companies need to reassess the planned strategic investments. They either postpone or restructure and carry parts. All companies must make spending review of all departments and branches and optimize them, added there. Expected for years of National strategy for sustainable development of the mining industry in Bulgaria was finally adopted in August 2015. While the document outlines only a general framework and potential for development of the mining sector in 2030, the industry expect it to drive the necessary changes to facilitating business and ensure the future of the industry. The strategy is essential for the industry because it encouraged new investments that lead to employment and increasing the competitiveness of Bulgarian economy, indicated by the Bulgarian Chamber of Mining and Geology (BCMG). “For the first time in a document of national importance include sustainable development as a fundamental principle of mineral-raw materials industry. Moreover, the strategy gives guidelines and guarantees for structure of the related laws and regulations in harmonic framework,” said the chairman of BCMG Lachezar Tsotsorkov. With proper and phased implementation of the strategy the total estimated volume of investments in the industry could reach 4 billion. Lev and industry to open another 15 thousand. Jobs (currently directly employed about 24 thousand.). Growth only concession fees paid to the state would be about 50%, according to the chamber. According to the energy ministry now their value is about 70-80 mln. Levs per year. The strategy is based on data for deposits in Bulgaria at the time and analysis of the situation in the industry. One of the biggest weaknesses that emerge, is regulation. It turns out that in Bulgarian law there are many contradictions between different laws – the Law on Mineral Resources, the Law on Spatial Planning Act, municipal and state property, the Forest Act, etc. A major problem for example, is linked to land use and elongated deadlines. According to industry these relationships should be governed by the state in the signing of the concession contract in order for the investor to start work. “These seemingly small problems are, on the one hand, based on corruption and on the other, delay the completion of projects. And every day postponement is a cost for the investor,” said CEO BCMG Ivan Andreev. From the Chamber once again indicate that a serious problem is the illegal extraction, which in some minerals reaches 70-80% of total production. The main measure, which is available, is it to be incriminated. “For years struggling with this problem, which not only interferes with the activity of legally working companies and harms their image, but also damages the environment, as companies in the informal sector have no commitment to reclamation deposits,” stated Andreev. At the same time the control to be exercised by the responsible Directorate in the Ministry of Energy, is often campaign and ultimately ineffective because of lack of resources. Legislation should encourage the most efficient, complete, and comprehensive utilization of mineral resources, according to the industry. 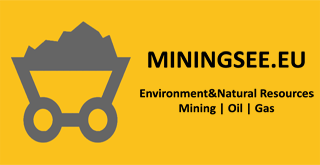 This includes the use of new technologies in mining and processing that enhance extraction useful components and reduce losses, and focus on the efficient collection and recycling of waste in the entire technological chain of processing after extraction. “It is imperative to take the opportunity to encourage the production of new products with higher added value along the value chain of raw materials,” said Andreev. In his words, however, for this purpose the state must have a clear vision.